Can you believe that Halloween is right around the corner? Well, it’s officially fall and the season for changing leaves, cabbage, carrots, Brussels sprouts and PUMPKINS. 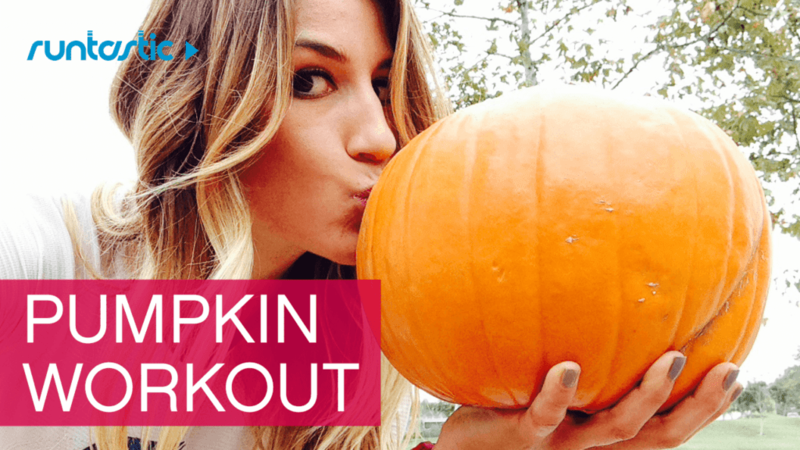 Before you paint or carve pumpkins this year, try this awesome workout (yes, workout!) with Runtastic Fitness Coach Lunden and a pumpkin. Make sure you choose one that you can actually lift (safely) because they can be pretty heavy and make for a great piece of festive workout equipment. Then, you can carve it, decorate it or eat it. Hey, maybe the neighbors or kids will want to join you before heading out to trick-or-treat for candy. Are you in? Looking for an awesome pumpkin recipe? Try out this warm and cozy Pumpkin Chilli recipe from Lunden on the blog.